For use with 15mm boom type aerials, comes complete with V bolt and nuts. 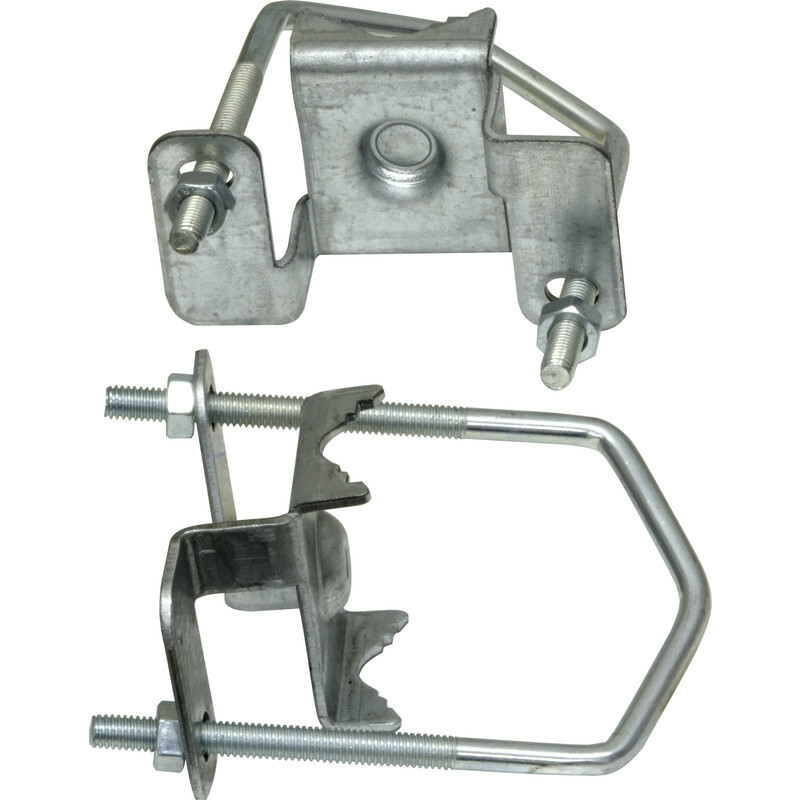 TV Aerial Clamp Fixing Kit is rated 3.7 out of 5 by 3. Rated 5 out of 5 by grajay 48 from TV AERIAL FIXING KIT Recently purchased this to install on an aerial mast an aerial. Product did just what was required of it and the price unmatched, that along with my customer experience was superb. Rated 1 out of 5 by Busker from Poor quality Purchased two sets as I was going to reposition my TV aerial. When tightening up with spanner the galvanised metal section which straddles the mast started to bend, which was very disappointing.